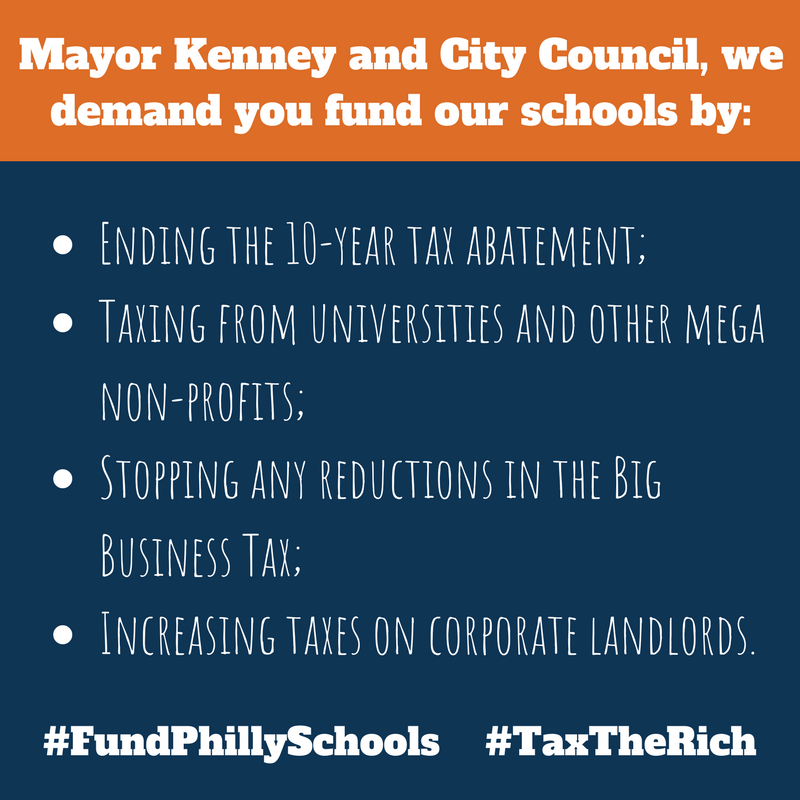 Our City Our Schools – Return local control to Philly Schools. We’re calling on our elected officials to make sure that the 1% is paying its fair share to our schools! Sign the petition and check out our comprehensive report. The Our City Our Schools coalition is made up of parents, educators, community members and students all fighting for local control of the Philadelphia schools and the end to the state-controlled School Reform Commission. The coalition includes: 215 People’s Alliance, AFSCME DC 47, AFSCME 1199C, AFT Local 2026, Alliance for Philadelphia Public Schools, Caucus of Working Educators, Media Mobilizing Project, Neighborhood Networks, Parents United for Public Education, PASNAP, Philadelphia Federation of Teachers, Philadelphia NAACP, Philly Student Union, POWER, Reclaim Philadelphia, SEIU 32BJ, Taxi Workers Alliance, Teacher Action Group, UNITE HERE Local 634 and UrbEd.